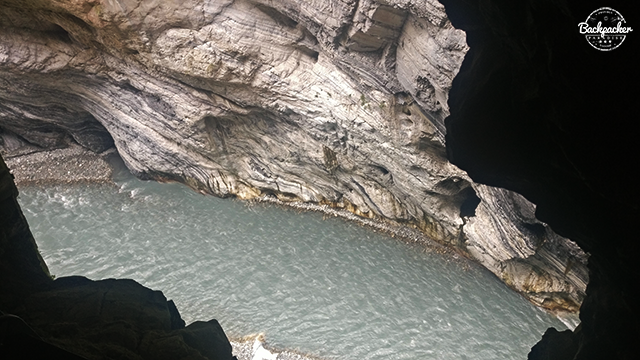 Taroko National Park is best reached from the city of Hualien. A simple 250 TWD will get you a 1-day pass to a hop-on/hop-off bus all through the large national park. Hualien is one of the hot spots for travelers and there are plenty of accommodation opportunities. 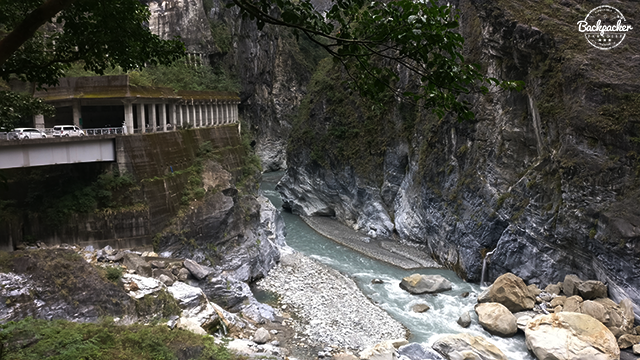 The national park is named after it's main landmark; Taroko Gorge. 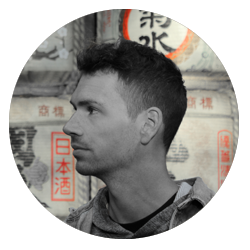 There are several hiking trails in Taroko and it's not possible to trek them all in one day. So choose a couple of them and enjoy it to the fullest. Taroko Gorge is a must. Firstly we headed further into the national park and trekked the Lushui Trail. 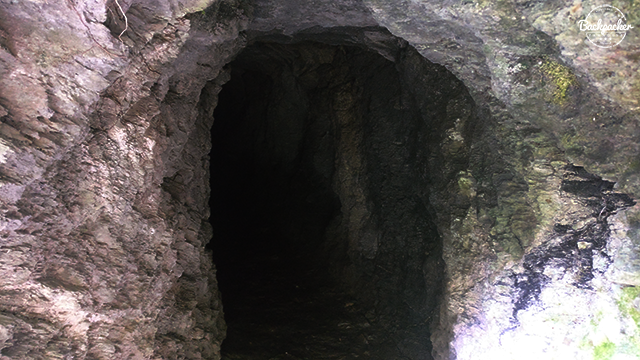 Narrow cliff paths and even a rock tunnel leading to the other side of a mountain side is just some of the features of this trail. At the end of the trail we found a place to take a rest offering food, drinks and souvenirs. Riding the bus back and forth you can easily enjoy the gorgeous nature while resting your legs. 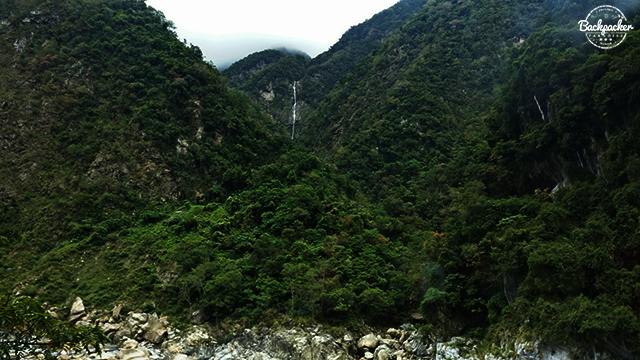 Linqin Falls is visable even on a cloudy day. Watch out for holiday seasons and weekends as Taroko will be packed with local tourists. 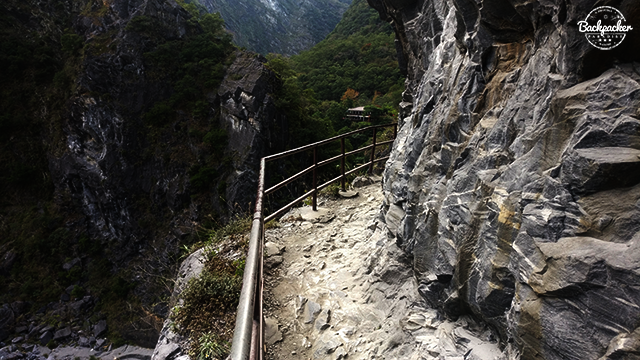 Taroko Gorge is a short hiking trail along the old main road. You'll walk through a cave with "windows" exposing the Liwu River rushing as it twists and turns through the enormous gorge. You'll come to a stop at a souvenir shop with a magnificent view towards the rock formation named "Head of the Indian Chief". 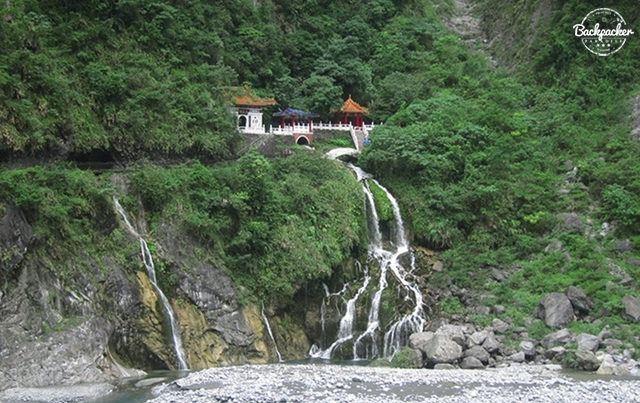 One last place to stop in Taroko is at Eternal Spring Shrine. Originally built in 1958 commemorating the memory of 212 veterans who gave their lives during the construction of the highway. The shrine has been rebuilt twice due to landslides. Most recently in 1989. One thing is for sure; a trip to Taiwan is not complete without a visit to Taroko National Park and its many stunning attributes.